Home » Blog » Do you know when to see the Eye Doctor? 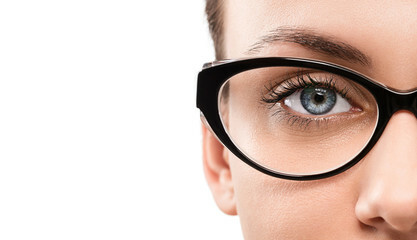 You may know that it is beneficial to have your eyes examined once every year. To have your eyes examined does not mean the same thing as having an annual vision assessment. This is where a lot of folks go wrong. Yes, how well you see is an important factor in a good quality of life. Our priority in patient care, though, is to observe the wellness of the various ocular structures used to create a clear image of what you observe in front of your, and beside you. Sudden vision changes. Your vision may change progressively over time, but these changes should not be sudden. If you notice blurriness, double-vision, flashes of light, halos, or floaters, the safest thing you can do is schedule a visit to Roholt Vision Institute. Persistent visual disturbances. Some visual disturbances occasionally occur at first, and then become more persistent. If every time you blink, you notice a flash of light, you could use an eye exam that measures intraocular pressure. Any other change in your vision is as important to analyze more closely to prevent eye damage or permanent vision changes. Night vision has diminished. Some eye conditions first affect night vision. If driving at night has become troublesome, or you see glares or halos around light, schedule a comprehensive eye exam to ensure your symptoms are not the early warning signs of eye disease. Health conditions have changed. The eyes are directly affected by certain health conditions, such as diabetes. If your general doctor diagnosis a health condition, ask about its effect on your eyes or schedule a checkup with us. Roholt Vision Institute has three offices to help you manage the health of your eyes. Contact us in Canfield, Alliance, or N. Canton for the friendly care you can count on.